Mark Blinn (Photo courtesy of Flowserve). 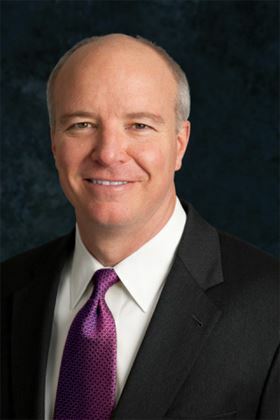 Blinn, who joined Flowserve in 2004 and was named CEO in 2009, will continue to serve as president and CEO until a successor is appointed. The Flowserve board has initiated a search to identify a successor to Blinn. “The board and Mark have been discussing succession planning for some time, and we are confident that the orderly search process we are now undertaking will ensure a smooth transition for Flowserve and all of our stakeholders. As we look forward, we intend to identify a leader who will build on Flowserve’s strong operating platform, creating enhanced value for shareholders, partners, employees, and the company’s other stakeholders,” said William Rusnack, chairman of the Flowserve board. Flowserve Corp has appointed R Scott Rowe as president and CEO of the company from 1 April 2017. Flowserve Corp has named Jay Roueche as interim chief financial officer, following the departure of Karyn Ovelmen.